In 15 seasons under the guidance of Dennis Bohn, the Lafayette men’s soccer program has produced nothing but winning teams. Bohn has led the Leopards to winning seasons in 12 of his 15 years on College Hill, three Patriot League championships and three NCAA Tournament berths. His overall record entering his 16th season at Lafayette is 132-92-55 with a 46-44-23 mark in Patriot League play and a 68-28-22 tally at Oaks Stadium. In his ninth season leading the Amherst College men’s soccer team, head coach Justin Serpone directed the Purple & White to a phenomenal and historical season that culminated in the program’s first-ever national title. 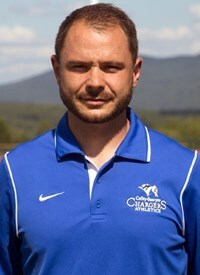 Guiding his team to an 18-1-2 record (9-0-1 NESCAC), Serpone was named the 2015 NSCAA, D3soccer.com, and HeroSports.com Division III Coach of the Year. The 18 wins for Amherst in 2015 ties the program’s high watermark for victories as Serpone’s 2013 squad also finished that season with an 18-1-2 ledger. Since taking the reins in 2007, Serpone has amassed a superb 138-17-24 overall record which includes four NESCAC championships (2008, 2011, 2012, 2013); nine appearances in the NCAA Division III Championship tournament; eight Sweet 16 berths; four Elite 8 appearances; a pair of Final Fours; and the program’s first national championship in 2015. Justin Makar joined the U-M men’s soccer staff prior to the 2014 in the role of program assistant. He joins the Wolverines after spending four seasons on the sidelines as an assistant coach at Lafayette College, and was the programs No. 1 assistant and recruiting coordinator in 2013. Prior to that, he primarily worked with the Leopards’ goalkeepers as well as the recruiting and scouting efforts. He will be directly responsible for the day-to-day operations of the program, including team travel, video and other duties as assigned. Ken Bovell enters his second season as the head coach of the MIT men?s soccer in 2016 after an extremely successful first year in which he led the Engineers to a program record mark of 18-3-1 and the Sweet 16 of the NCAA Division III Tournament. Prior to his promotion to head coach last year, Bovell served as an assistant for two seasons under then head coaches Aidan Byrne and Mike Singelton. As part of the success that Bovell brought to the MIT men?s soccer program, he was awarded with both the NEWMAC Coach of the Year and ECAC Division III New England Coach of the Year accolades in 2015. Scott Bratt joined the Cornell men’s soccer coaching staff in advance of the 2018 season after serving as an assistant coach for one year at SUNY Cortland. He helped guide the team to a 15-2 record in the regular season and a trip into the second round of the NCAA tournament while helping to develop five United Soccer Coaches All-East Region players in the process. Previous to working with Cortland, Bratt served as the Head of Football and Sport Development at Crawley Town FC in West Sussex, England where he was responsible for overseeing the club’s youth player Development Centers and also worked as a performance analyst for the highly respected Southampton FC Academy, England. 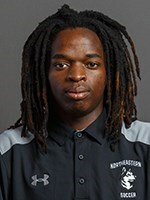 Bratt attended Southampton Solent University in England, earning a First-Class Bachelor of Arts Honor Degree in Football (Soccer) Studies in 2015. Bratt earned a Master of Science in International Sport Management from SUNY Cortland in 2018. 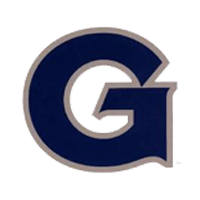 Brian Bouhl joined the Hoyas in 2018 as the volunteer assistant coach. 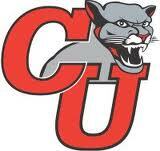 He comes to the Hilltop from Coastal Carolina University. 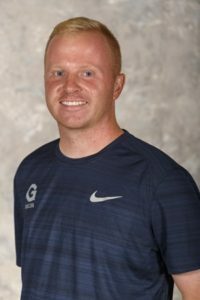 Bouhl assists in all aspects of the program, with primary responsibility on coaching the Hoya goalkeepers and managing the sport science program. Bouhl spent the past three seasons at the University of Kentucky where he was the director of operations for men’s soccer. There he worked with all aspects of the program focusing on team operations including training, sport science, travel and camps. During that time, the Wildcats made NCAA tournament appearances in 2015 and 2016, including a program-first No. 16 seed in 2016. While in Lexington, Bouhl was a staff coach with Lexington FC for five years, coaching the 1999 and 2001 boys age groups, as well as coaching goalkeepers for the club. Charlton Muhlauri will serve at the Coordinator of Operations for the 2018-19 season. Taylor Thames is in his third season as an assistant coach at the University of Cincinnati in 2017. 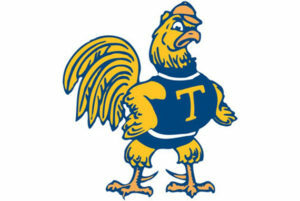 Thames spent the past two years at Stony Brook as an assistant coach. 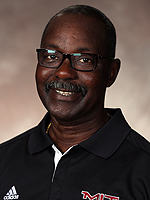 He assisted in recruiting, while overseeing equipment, travel, the program’s budget and NCAA compliance records. He also prepared and executed the conditioning and recovery programs, as well as team training with a specific emphasis on the goalkeepers. Tim Stanton, a 2016 Colby graduate and co-captain of last year’s men’s soccer team, is in his first year as an assistant coach. Stanton, a government major, was a four-year member of Colby and played on defense. Good in the air, Stanton had five career goals. The most memorable score was his overtime goal in the 2015 season to defeat Williams College. Stanton coached with the Yarmouth High School boys soccer team during the summer of 2015. During his time at Colby, Stanton volunteered with the Let’s Get Ready program, helping low income students prepare for the SAT and apply to colleges. 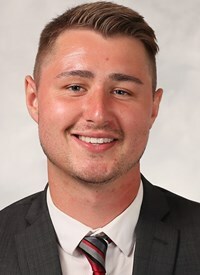 Zack Grady joins the Trinity coaching staff in the spring of 2018 after being a part of the coaching staff at Wheaton College from February 2016 through last fall. While at Wheaton, Grady helped coach three All-New England players, three New England Women’s and Men’s Athletic Conference (NEWMAC) All-Conference First Team players and the 2016 Rookie of the Year. 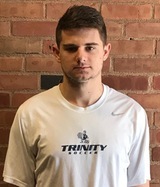 Grady also coaches for NEFC, based out of Taunton, Mass., and has coached at Liverpool FC International Academy in Plymouth, Mass. 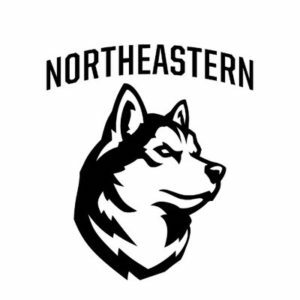 Barbosa is not only a native of Nashua, but is very familiar with the local collegiate landscape as he served as the Assistant Coach at his Alma mater, Lasell College from 2011-2013. While at Lasell his primary responsibilities were training Goalkeepers and overseeing all recruiting efforts. Barbosa?s recruiting efforts were undeniably impactful. His first recruiting class consisted of Division I, II prospects and transfers who came in to contribute to an overall 15-4-1 record. The following year they finished with a 17-4-2 overall record, as GNAC finalists and an ECAC appearance. Graduating several All-Conference and an All-American who have moved on to play at the next level both at home and abroad. Dan Roberts joined the Emmanuel College staff during the spring of 2016, becoming just the third-ever Head Coach of the Men’s Soccer program. 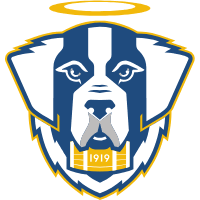 In his first season at the helm, Roberts led the Saints to an 8-9-2 record while posting a 4-4-1 mark in GNAC play to earn the No. 5 seed in the 2016 GNAC tournament. His squad posted six shutouts to rank second in program history for clean sheets in a single season. He has coached three players to GNAC All-Conference honors at Emmanuel and qualified for GNAC postseason play each of the past two seasons. Roberts brings to Emmanuel a wealth of Division III experience as both a coach and a former student-athlete. Most recently, Roberts was the Assistant Men’s Soccer Coach at University of Massachusetts Boston, where he helped lead the Beacons to a Little East Conference Championship and to an appearance in the NCAA Tournament in 2015. 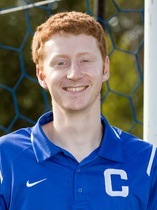 Prior to the 2015 season at UMass Boston, Roberts was the Assistant Coach at COF rival Wentworth Institute of Technology for two years. 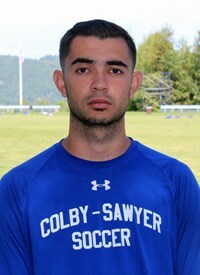 Alex Ortega joins the Clark coaching staff after coaching with his alma matar Colby Sawyer. Alex graduated Colby-Sawyer with the second most points (72), second most goals (28) and fourth most assists (16) in program history. The 30 points tallied in 2014 tied Denali Sexton for the second most in a season. Ortega was named to the All-NAC Second Team and finished 2014 ranked 27th in the nation with five game-winning goals. He was named All-NAC First Team in 2013 after collecting 29 points on 13 goals and three assists. 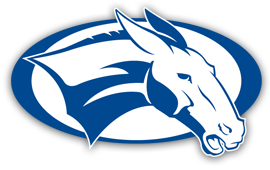 Metz will enter his second season in 2017 as the Head Coach of the Colby-Sawyer men’s soccer program. In his first season in 2016, Metz led the Chargers to a 10-7-1 overall record and a 6-2-1 conference record to earn the third seed in the NAC Tournament. 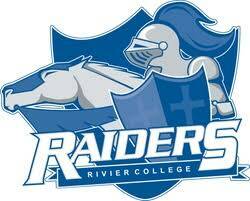 He earned his first head coaching victory in the season opener with a 3-0 home victory over Curry College. Metz received a BA in Recreation and Sports Leadership from Eastern Mennonite University (Harrisonburg, Va.) in 2009 and a Master of Science in Coaching and Athletic Administration from Concordia University (Irvine, Calif.) in 2011. 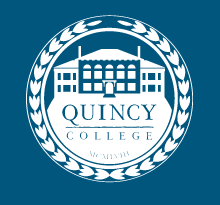 Marco DeVito joined the Quincy College Granite as a volunteer assistant coach in the fall of 2017. In its inaugural year of the program, DeVito helped lead the Granite to their first two wins in program history. DeVito took a year off from the Granite to focus on professional development, where he earned his USSF D license and the Goalkeeping Level One Diploma with the NCSAA. He currently coaches for Seacoast United Mass City in Norwell, MA overseeing all tournaments as well as coaching 2009, 2006, and 2003 boy’s teams. 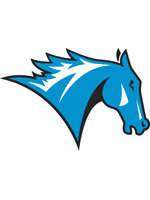 He is set to return to Quincy College as the lead assistant coach for the men’s program in the fall of 2019.